Long Beach just welcomed a new resident: the Universal Technical Institute. “It means opportunity for a future coming up,” said Nickalas Stafford, a student. In two years or less, he and other students will be able to hone their technical skills with a chance of becoming hired after graduation. “You have to have a promising career and a lot of things are lucrative in this business,” he said. Prior to its Long Beach opening, the closet UTI location was in Rancho Cucamonga. 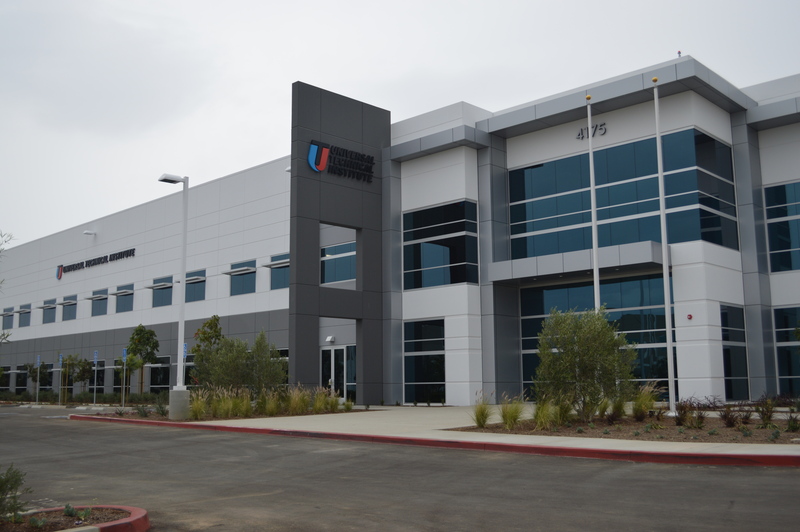 “One of the two main reasons that we brought the campus to the Long Beach area was because the employers in this area were under-served from a graduate-availability standpoint or a technician-hiring standpoint and also we had a lot of demand from prospective students here,” Larry Hohl, the UTI campus president, said. The new, 142,000-square-foot facility is a mechanic’s dream, offering state-of-the-art auto, diesel, and collision repair labs. Students will also have access to state-of-the-industry spray booths, allowing them to work on two cars at once. The demand for car experts is on the rise. In fact, the state Employment Development Department estimates technician jobs will increase 15 percent by 2022. To watch the full segment on CBS 2 Los Angeles, click here. Another education option beyond high school is coming to Long Beach in the form of a technical institute. Specifically, the Universal Technical Institute. UTI Long Beach’s ribbon cutting will be Aug. 18 by Mayor Robert Garcia, with classes starting the day before, on Aug. 17. The charter class of enrolled students previewed the facility at 4175 E. Conant St. last week. It is part of the growing Douglas Park industrial area just north of the Long Beach Airport. The group of about 250, including guests, saw the 13 classrooms and 19 labs covering 142,593 square feet. 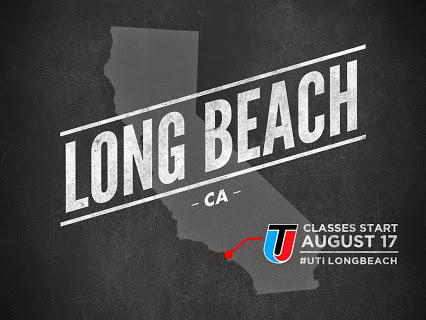 Areas of study at UTI Long Beach include automotive, diesel, collision repair, as well as auto and diesel combined. 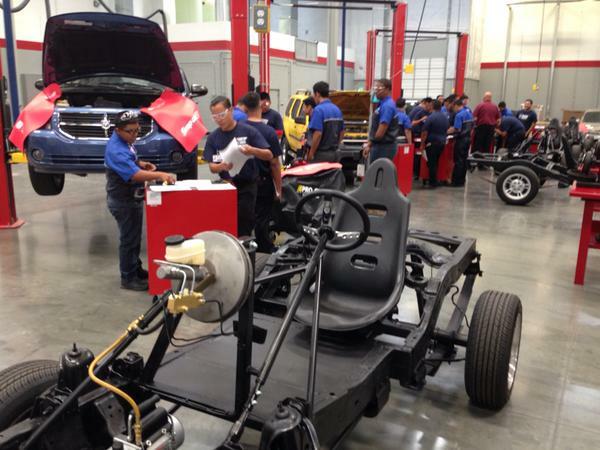 There also is Nissan Automotive Technician Training elective that readies students to work on the full line of Nissan and Infiniti models, tools and technologies, as well as smog elective on California campuses. Courses offered vary by UTI campus location and run three to four weeks. Students may enroll any time during the year. Financial aid may be available for qualified students. There is strong demand for trained workers in the automotive, diesel and collision repair specialties due to Long Beach’s proximity to Southern California’s busy ports, industries and reliance on vehicle travel, said Larry Hohl, president of the new campus. That’s partly why they decided to open a campus in Long Beach. To continue reading, click here to be directed to the Grunion Gazette. Hundreds of people interested in becoming automotive technicians are expected to attend a “Future Tech” event Thursday night to learn more about the high-demand transportation industry, according to Universal Technical Institute-Long Beach officials who organized the event. “Future Tech” events are held offsite at a leading local employer and are designed to raise awareness of the ongoing demand for skilled technicians in the transportation industry and give students, potential students and their parents a real world snapshot of what today’s industry expects of its technicians, and why industry-recognized training can help with career mobility,” said Larry Hohl, campus president of the soon-to-open UTI-Long Beach. To continue reading click here to be directed to the Long Beach Post. Roosevelt Elementary School community members were treated to a special visit during Friday morning’s school assembly. Long Beach Kids—an on-campus program created to address child hunger on weekends, when free and reduced-cost breakfasts and lunches are not available to students. So McBride and a few others quickly gathered 100 like-minded men to create Team 100. To continue reading click here to be directed to LBPost.com.